The holiday season gives us a time to show our love and support for good causes. Some of my favorites I’d like to share with you. An estimated one million children of the Sahel region of West and Central Africa are in danger of becoming severely malnourished in 2012 if the global community does not take action now. UNICEF and partners (UNICEF Seasons Greeting, image courtesy of Nokia.com) are working now to distribute life sustaining supplies to avert major tragedy for these children have a right to survive, thrive, and contribute to their societies. Clean Up America, the grass roots project of six volunteers, are calling themselves the “pick up artists” have the best intentions. The cross-country journey, from Maryland to California over a span of 20 months involves picking up trash, educating, and encouraging practices toward zero waste. Help with donations or hands in volunteering along the pickup route will be gratefully appreciated to reach this incredibly huge goal. 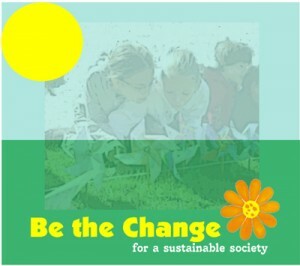 Be the Change for a Sustainable Society is a special program fundraiser I’ve developed with songwriter and performer, Arlon Bennett to help raise funds for education and support future leaders of sustainability. Ten percent of music downloads are directed to children’s educational needs. Please join me in these causes, won’t you. Or share your special cause. Are You an Eater or a Baker?